Songtapper: Find the Name of That Song By Tapping | OhGizmo! By Hazel Chua on 03/14/14 • Leave a comment! So you just heard the most awesome song, but weren’t able to fire up SoundHound in time to capture enough snippets of it to search for its title. You could always look up the lyrics, but Google won’t be able to help you out if you can’t remember enough relevant lines. 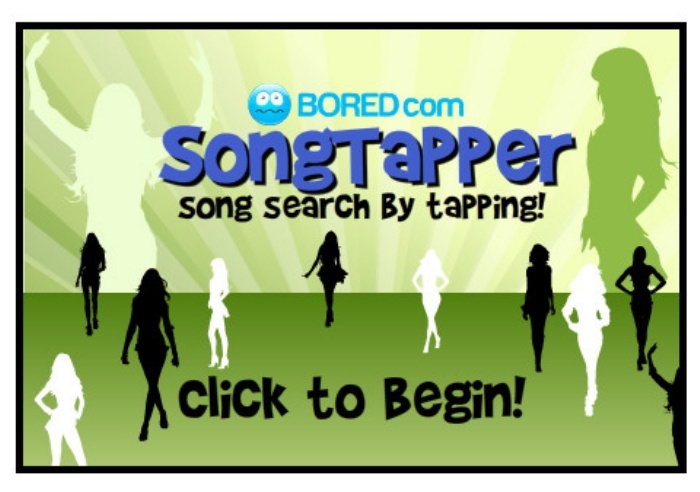 Your last hope–and best bet, at this point–is SongTapper. It’s basically a search engine that searches for songs based on its beats. If you can hum along to the tune or remember the intro or sound of its chorus, then you can just tap out the rhythm by tapping on your space bar and SongTapper will do the rest for you. It’s not the most accurate thing in the world, but the results might just amaze you. Check it out HERE.